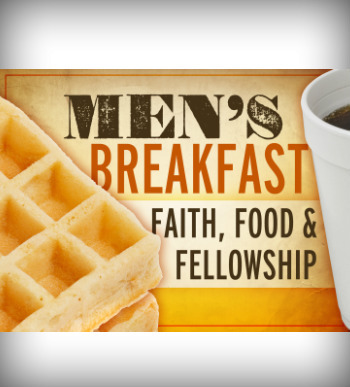 Each month our Men gather on Saturdays for breakfast, good fellowship, and sharing from one of our men. You are invited to join us for these opportunities. Breakfast is $4.00, payable at the door. You can sign-up for these breakfasts at our Information Center or by calling the church office at 462-8816.